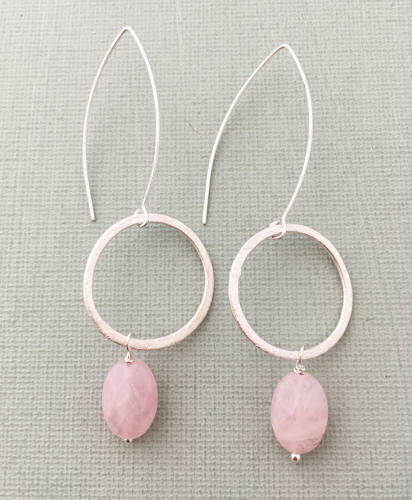 A long stylish earring with rose quartz stones and silver plated circles and wires. Hypoallergenic and nickel free. Length 7cms.